DynastyBlitz.com Fantasy Football | Your resource for initial dynasty and rookie drafts, advice and analysis to dominate your league. RB-Matthew Dayes-Could he be Gio lite? Comments Off on RB-Matthew Dayes-Could he be Gio lite? There are hundreds of stories being told during the planning and anticipation of the 2017 NFL Draft. Today we will be looking at a scouting report for senior running back Matthew Dayes, NC State Wolfpack. 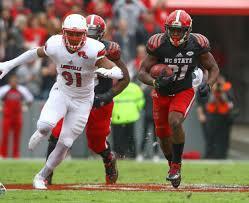 RB-Matthew Dayes NC State, 5’9” 203 lbs. There are hundreds of stories being told during the planning and anticipation of the 2017 NFL Draft. 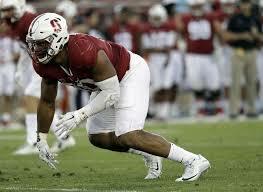 Today we will be looking at a scouting report for red shirt sophomore Solomon Thomas, Stanford Cardinals. DT/DE-Solomon Thomas, Stanford 6’3” 273 lbs. There are hundreds of stories being told during the planning and anticipation of the 2017 NFL Draft. 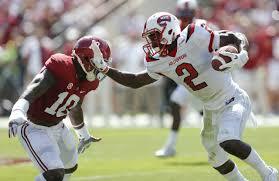 Today we will be looking at a scouting report for senior wide out Taywan Taylor, Western Kentucky Hilltoppers. WR-Taywan Taylor, Western Kentucky 5’11” 203 lbs. There are hundreds of stories being told during the planning and anticipation of the 2017 NFL Draft. Today we will be looking at a scouting report for red-shirt senior running back Jamaal Williams, Brigham Young Cougars . 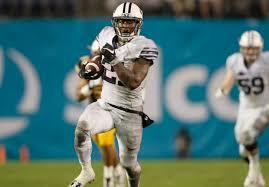 RB-Jamaal Williams BYU 6’ 212 lbs. This young man has competed nationally in track and field events since the age of ten when he first broke his ankle. Williams also has great genetics as his mother Nicolle Thompson was a former NCAA Track & Field championship level sprinter while at UCLA. He began his college career early at age 17, so the impact of him taking the 2015 season off due to “personal reasons” and knee issues may not be as disastrous as originally thought. WR-Cooper Kupp-Big hype, big play? Comments Off on WR-Cooper Kupp-Big hype, big play? There are hundreds of stories being told during the planning and anticipation of the 2017 NFL Draft. 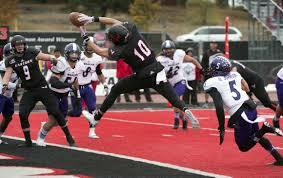 Today we will be looking at a scouting report for red-shirt senior wide out Cooper Kupp, Eastern Washington Eagles. WR-Cooper Kupp, Eastern Washington 6’2” 204 lbs. Kupp is a unique prospect for a few reasons. His grandfather played guard in the NFL for eleven years and his father was drafted by the league too. Then there is the level of competition he faced in the Big Sky Conference which is not considered difficult, but the wide out did perform well against bigger programs, Washington and Oregon. The rookie receiver will also be one of his classes oldest players, 24 before the start of the season, and married for two years. DE-Dawuane Smoot-Situational rusher or more? 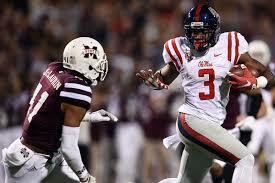 Comments Off on DE-Dawuane Smoot-Situational rusher or more? There are hundreds of stories being told during the planning and anticipation of the 2017 NFL Draft. 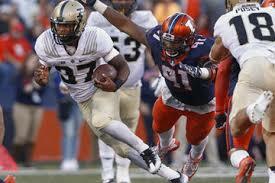 Today we will be looking at a scouting report for senior edge rusher Dawuane Smoot, Illinois Fighting Illini. DE-Dawuane Smoot, Illinois 6’3” 265 lbs. 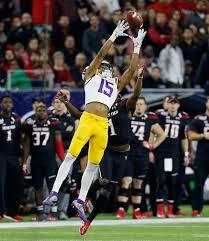 Comments Off on WR-Chad Hansen- Bear necessity? There are hundreds of stories being told during the planning and anticipation of the 2017 NFL Draft. 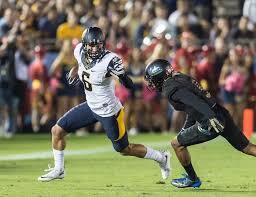 Today we will be looking at a scouting report for red-shirt junior receiver Chad Hansen, Cal Golden Bears. WR-Chad Hansen, California 6’2” 202 lbs. Each year are hundreds of stories being told during the planning and anticipation of the NFL Draft; the 2017 NFL Draft is no different. Today we will be looking at a scouting report for redshirt junior defensive end/outside linebacker Charles Harris, Missouri Tigers. 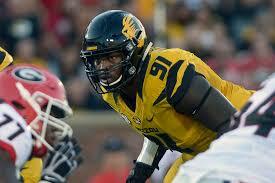 DE/OLB-Charles Harris, Missouri 6’3” 253 lbs. TE-Jordan Leggett-“Lazy” Leggett or late round gem? 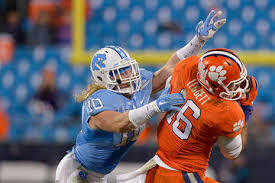 Comments Off on TE-Jordan Leggett-“Lazy” Leggett or late round gem? Each year are hundreds of stories being told during the planning and anticipation of the NFL Draft; the 2017 NFL Draft is no different. Today we will be looking at a scouting report for senior tight end Jordan Leggett, Clemson Tigers. TE-Jordan Leggett Clemson, 6’5” 255 lbs.